In 1993, drug-money mule Piper Kerman smuggled $10,000 from Chicago to Brussels for a West African drug lord. Years later, when the drug smuggling ring went down, the judge gave Piper 15 months in prison for her part in the crime. Kerman does her time at the Federal Correctional Institution in Danbury, Connecticut, a minimum security camp for low-risk offenders. A college graduate, Kerman has far greater self-awareness and is far better educated than most of her fellow inmates. All the names in the book, save two, were changed to protect the women at Danbury. Most “campers” were serving time for non-violent drug crimes, things like allowing their phone or apartment to be used for drug trafficking. The great irony is that the derision, apathy, disrespect, and humiliation Kerman suffers is by so-called law-abiding jail employees. Compare that to empathy and kindness from her fellow inmates–the oft-abused dregs of society who greeted her with small gifts and reassuring words on her first day. This memoir of course, is a variation on the old fish-out-of-water story. Kerman encounters women of every “tribe” other than her own: Poor, uneducated Blacks, Latinas, and Whites, who despite their disparate backgrounds, demonstrate humanity and compassion. 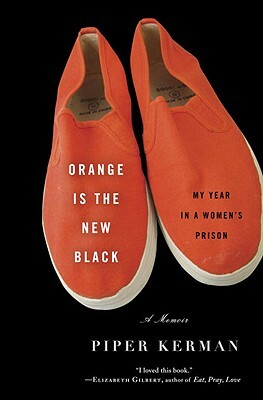 As such, the title Orange is the New Black rings false, disservicing these women and reducing their collective stories to a tired cliché. Pom-Pom, whose mother had preceded her at Danbury, had been worried about what would happen when she was released. She had relatives who grudgingly agreed to let her live with them, though she considered going straight to a homeless shelter. Now she was back on the outside and she had received a chilly reception. The apartment where she was living was in a neighborhood where gunfire was audible every day…the cupboards had been completely bare and she had taken the little money she had to stock the house with food, shampoo, and toilet paper. She was sleeping on the floor. This small update on Pom-Pom is all the reader learns about Kerman’s tribe post release. Kerman walks out of jail and resumes her life of privilege. What happened to Yoga Janet, Sister Ardeth Platte, Pop, Nina, Annette, Little Janet, Natalie, and Jae? The second greatest crime in the book as that as a reader, you never find out.